The other day, TDP's chief Chandrababu Naidu delivered a silly statement which turned laughing stock to netizens. CBN said he couldn't see in VVPAT's paper slip to whom he had cast his vote. Interestingly, none of the voters across AP made such strange complaint and which is why everyone is taking fun of CBN. However, there are a few other people who are very much serious on CBN's statement. 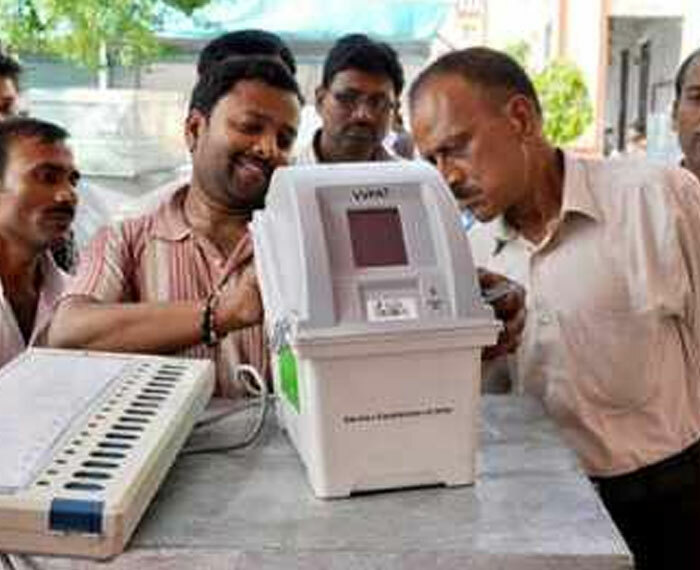 And they Presiding Officers who conducted polling in 46K polling booths in AP. According to POs, VVPATs print slips which consist of candidate's name and symbol and the slip appears on display portion of VVPAT for 3 to 7 seconds. "If CBN hadn't seen whom had he got his vote cast, he could have complained POs immediately. Instead, what has he been doing then? Had he complained POs could have given him the test vote and got it recorded in 17C forms which are crucial at the time of counting of votes. CBN better stop playing silly dramas which give nauseating feel to everyone," says a PO.